Free UPS Ground shipping (receive in 3-5 days). Faster shipping options available. Daniel Marshall is commemorating his 35th year in business with this magnificent collector's edition Macassar Ebony 125-count humidor. This is a tribute to the very first humidor Daniel made 35 years ago for the Alfred Dunhill company in London. That humidor held a bottle of Dunhill Whisky and was crafted with Macassar Ebony from Sri Lanka. 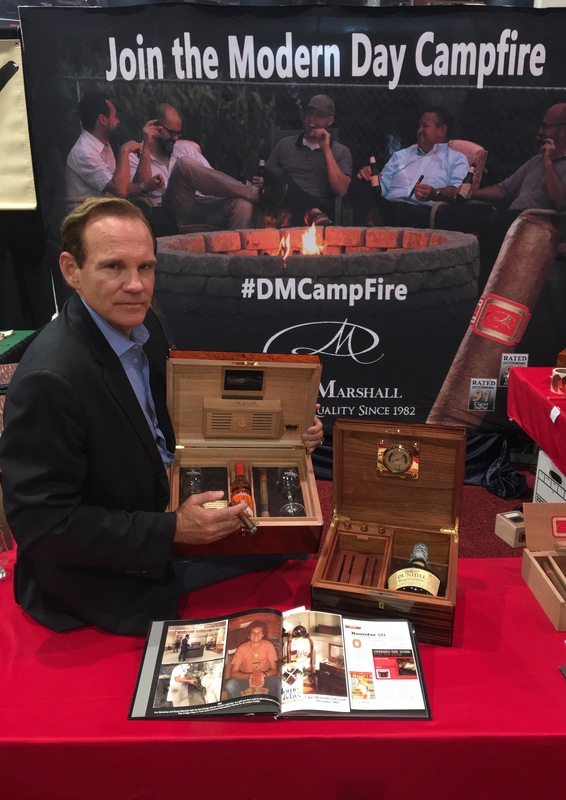 There are only 100 pieces of these humidors being made and Daniel Marshall himself is signing the interior of each one. There is also a gold plate attached to the inside of the lid that displays the limited-edition number of each. A custom fitted, silk upolstered insert is installed that is designed to hold a bottle of Glenfiddich 21 Reserva Rum Cask Finish that will be signed by Kristen Grant, the great-granddaughter of William Grant (the founder of the Glenfiddich Distillery in 1886). Adorning the humidor are two Glenfiddich-branded tasting glasses from Scotland and 15 total cigars from Marshall (5 previously unreleased DM Red Label Tasting cigars; 10 of 92-rated DM Red Label Churchill cigars). This humidor makes as a perfect gift for any collector or lover of cigars. Give the cigar aficionado in your life a gift that will last for years to come with this luxury limited edition humidor! Special note: The signed Glenfiddich bottle is a gift from Daniel Marshall to each collector and therefore will ship directly from the Daniel Marshall factory. Wrapped in a sturdy Daniel Marshall box that makes for an exciting unwrapping experience for the person receiving this!